We tried to convince him [to buy new cars for his convoy]… The cars were in a terrible state, really… We said to him, it doesn’t have to be big cars… He refused… and that was state money. He could’ve had the biggest plane on Earth [but it wasn’t a priority for him]. I believe in spending money on experiences, not on goods... Experiences, and a bit of motor-biking! 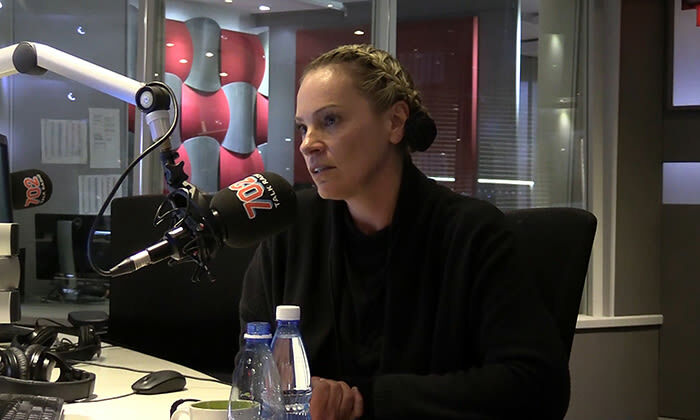 This week Whitfield interviewed former private secretary to Nelson Mandela, Zelda la Grange. La Grange is also a cofounder of the Nelson Mandela Foundation. What does she believe about money? The 27 years he spent outside of society changed his views about money completely. He never had those things [debit card, credit card, etc.]. He would give his grandchildren R30 to go to the movies… We’d have to explain to him they can’t do that with only R30! If someone didn’t throw out his socks he would wear them until there’s only a thread left! He didn’t believe in debt at all. We were at the bottom part of the middleclass. My first job was at the Department of State Expenditure… I was 22. I bought Sasol shares in the early 2000s… It made me so nervous! I’m not a good risk taker… Buying stock was a very bad decision! Bruce Whitfield asks Khumalo (now the Head of Black Business Portfolio at Investec) some decidedly personal questions. What is rapper ProVerb’s attitude to the stuff that makes the world go ‘round (hopes and fears, successes and failures, etc. )?